Imagine treating business, and the building of your art career, like just another artistic medium to master. Just like paint, or clay, or charcoal, you know that mastery of this new medium is going to take time, dedication, experimentation and play. I believe that business should be extension of your creative practice. Since completing my MFA (Master’s of Fine Arts) and BFA (Bachelor of Fine Arts), I have spent years going through all the thinking I picked up about how I should or shouldn’t be an artist and am constantly figuring out what to keep and what to throw away. Like why hadn’t I given any thought to the entrepreneurial sector? How on earth had I picked up the whole ‘Starving Artist’ thing? 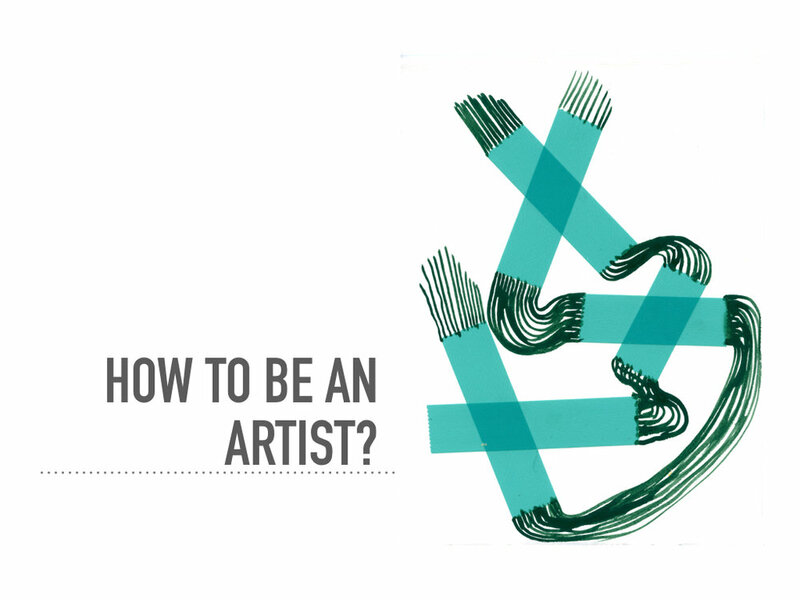 Why was I following someone else’s idea of how to be an artist? And how could I combine my ideas about success, art, business, creativity and spirituality into one? I’ve learned and done a lot over the last 10 years. Now it’s time to share it with you. 60 min - $85 plus GST and fees. It’s just you and me, uninterrupted. One-on-ones are 1 hour of dedicated time, 100% focused on you, your art, your challenges and your questions. I give you an external view of your internal process so that you can find yourself and see where you truly are; what’s working and what’s not. The opportunity to see what others see in your art is invaluable. I bring an infusion of trust, curiosity, positivity and enthusiasm to every session so that you walk away feeling relieved, revived, seen and excited about what’s next. All my personal experience as a practicing artist, curator, educator, arts administrator and entrepreneur is at your fingertips, totally accessible to you, which allows you take a giant leap from where you are to where you want to be in one single session. One-on-ones are for you if you’re ready to take the next step all on your own. One-on-ones are not for you if you want someone to hold your hand and help you the whole way. The topic of conversation is 100% up to you. Discovery - You start talking - about anything and everything. I ask you questions. From this, we make a map and discover where you are. Focusing - We zoom in and focus on one thing. We talk it through from start to finish and a make a plan for your next steps along the way. Review - We look at your art, ideas, dreams, and projects. I give you my feedback and help you to see what you have and where to go next. Dreaming - You tell me your dream. We talk about it. Where could it go? What could it be? Then we figure out the steps that will get you there. Refinement - You show me something that is just about finished. We give it a final polish and a final run through. Strategy & Planning - We create a strategic plan that will help you reach your goals. I only have a limited number of one-on-one sessions each month, so book now to secure yours. How good would it feel to have the exact words you need to explain your art already figured out? I know how hard it is to put your art down into words. To take everything you are and everything your work is and fit into a simple artist statement or piece of writing. Sometimes this feels totally impossible. Now, you don’t have to do it alone. I have had, or conducted, heaps of studio visits over the years. I know what works and what doesn’t. How to jump start conversation, draw out useful information and make you feel comfortable from start to finish. Art CORE sessions take a one-on-one session and go that extra mile. a copy of my notes — this will allow you to see what caught my attention and emphasize things that you maybe didn’t think were important. You’re welcome to take your own notes too. a recording of our session for you to review later -- this allows you to be more present in the session and put all your attention into what you’re saying in the moment. 5 - 10 lines about your work, ready to be plugged into your artist statement, website or proposal -- this will allow you see what defines your art and the values, beliefs and concepts that make up its foundation. 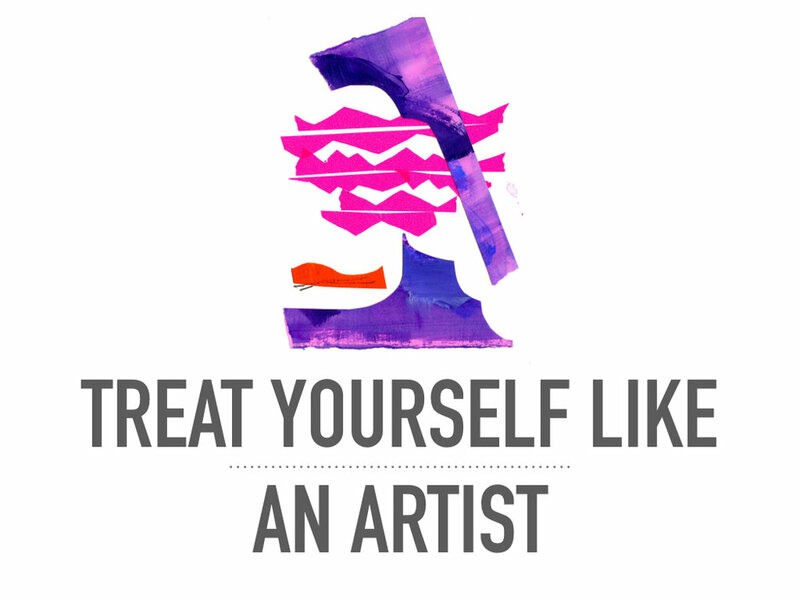 This will fit perfectly and easily into your artist statement, grants, applications, sales copy, communications with your clients and anywhere else you need to write about your art. a one sentence summary about your art -- now you can confidently answer “What kind of work do you make?” whenever you are asked. My Art CORE sessions fill up fast. Book yours today. Do I need to have a specific question to book a session? Not at all! If you feel called to book a one-on-one session, that's all you need. As we talk, we will uncover your questions and concerns as we go. What if I don't have anything to say? I am really great with questions and can help you find what you’re truly trying to say. We’re just having a conversation. All you need to do is show up and be ready to think, or perhaps even more importantly, be ready to feel. What if I have too much to say? What if I'm all over the place? I am a fantastic abstract random thinker - I can connect just about any thought with any other thought. I'm also a really great linear thinker - putting things in order and thinking things through. It’s perfect 'One. Two' combination. What if I just want to you tell me what to do? Well, then working with me will likely not be a good fit. I'm committed to working with artists who are willing to look at themselves, and their art, deeply and honestly. Yes, it's hard work. But having done it, is one of the best feelings in the world. How often do we meet to talk? I check in with you about 3 months after our one-on-one session to see how things are going — if you’d like to chat sooner than that, please just email me! From there, we book your next session. Why Do I offer workshops? For almost as long as I remember, I've been teaching - everything from kids art camps to university classes. when I was first learning about it. I've always been attracted to knowing more. I will dig and dig, and work and work until I understand a new concept, or system, or method of working and can see, and explain, how to do things differently, more easily. I especially like helping artists understand why things are the way they are in the art world, and how and where they can diverge from the well trodden path. Have a workshop topic idea? I love devising new workshops and would love to hear from you. ...from university lectures to Petcha Kucha nights, artist talks to speaking about the arts at city planning sessions. I've spoken about my art, cultural projects and initiatives - many of my own devising, art movements, introductions to art history, graffiti and wall art, overviews of Canadian Art and types of art galleries. 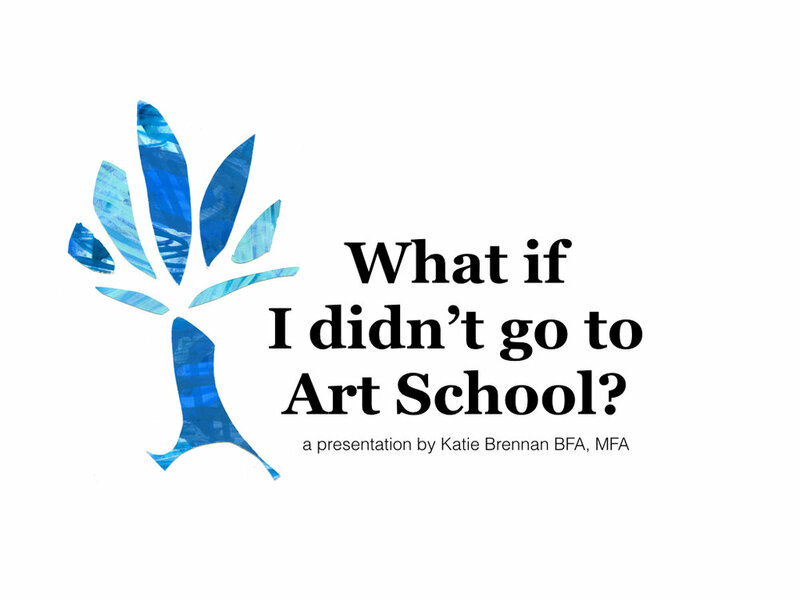 A topic close to my heart: What if you don’t go to art school? In fact, this question is the whole reason I began Katie Brennan Art Consulting in the first place. In this talk I give an overview of what an art school education gives you and how you can DIY through other means. An overview of my artistic practice from the beginnings of my BFA, through my MFA and everything that has happened afterwards. I highlight what worked, what didn’t and what I was thinking at critical points along the way. I also talk openly about how I started in the business part of art and what helped me along the way. This response came to me as I read my fellow altMBAers talking about failure or productivity. I kept thinking: if these folks knew more about creative practice and treated themselves more like artists, they would be much kinder to themselves. Arts Matter Pecha Kucha, Penticton, BC. This short talk - all of 6 minute & 40 sec - is my response to the prompt: "What do you need to succeed in the arts in Penticton?". Using all of my experiences as an artist, community organizer and arts administrator, I give points on a strategy I’ve developed for engagement in the arts on a personal, communal and regional level. Represented in a longer format for the City of Penticton’s Pen-talk-ton, the first event in their next round of community planning. I love the challenge of taking on a new topic to talk about. I would love to devise something for you or your event. Please send me a few details about what you’re looking for.